The Welter family farm in Chanhassen, where my dad grew up, was a half-mile south of where Paisley Park stands. The farm is now a collection of office parks, apartments and single-family homes. The Kingdom Hall of Jehovah's Witnesses is across the road. My great-grandfather Michael Welter, an immigrant from Luxembourg, is said to have won the property in a poker game in Chicago in the 1860s. He married Margaretha Heldt, a Dutch immigrant, in 1865. 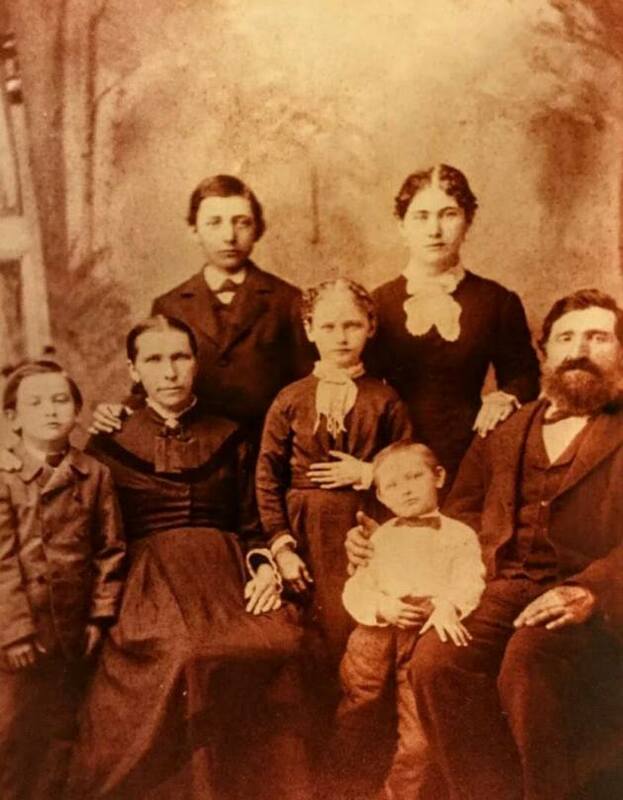 Together they had eight children, including my grandfather John A. Welter. Michael ended up raising the five youngest after Margaretha died in 1891. In November 1912, Michael Welter was killed by a train as he walked on railroad tracks that ran along the north end of the property. "The old gentleman was on his way home from the village," a local paper reported, "and was walking along the tracks, and as he has been partly deaf for some time, it is supposed he did not hear the oncoming train in time to escape being hit." He was 84 years old. The Weekly Valley Herald of Chaska published this account of his death a few days later. Though apparently well-acquainted with the deceased, the editor of the Herald somehow managed to misspell the family name. Pioneer Resident of Chanhassen Loses His Life While On His Way Home From the Village. The late Michael Welters was 84 years of age and was a native of Luxemburg, Germany. He emigrated to this country about 60 years ago, coming directly west to Chicago, where he remained for some time. He came to Carver county in 1862 or '63 and settled on a farm in Chanhassen, where he has continued to reside ever since. He was married in Chaska to Miss Margaret Heldt in 1865. His wife preceded him to the grave some years ago. He is survived by six children, as follows: Carlos Welters, Miss Anna Mason, Mathias Welters, Mrs. Kate Buschkowsky, John Welters, all of whom have the sympathy of a large number of friends in their sad bereavement. The editor of the Herald has intimately known the deceased for lo these many years, and always found him straightforward and honest and a good man in every sense of the word. He came to this county in the early days and worked industriously for the betterment of home conditions. He has lived a worthy life and has earned the reward to those who are faithful. The funeral was held from Saint Hubert's Catholic church at Chanhassen Monday morning at 9 o'clock, and was very largely attended. The remains rest in peace in the Catholic cemetery. Michael married a Dutch woman, Margaretha Heldt, in Chaska, Minn., on Sept. 26, 1865. She was 19; he was 37. This family photo was taken in the early 1880s, before Margaretha gave birth to the two youngest, Katie and John, my grandfather. Back row: Charlie and Sophie. Middle, from left: Matthew, Margaretha, Annie and Michael. Martin is the kid with the bow tie.